The measurement of lifetime prevalence of depression in cross-sectional surveys is biased by recall problems. We estimated it indirectly for two countries using modelling, and quantified the underestimation in the empirical estimate for one. A microsimulation model was used to generate population-based epidemiological measures of depression. We fitted the model to 1-and 12-month prevalence data from the Netherlands Mental Health Survey and Incidence Study (NEMESIS) and the Australian Adult Mental Health and Wellbeing Survey. 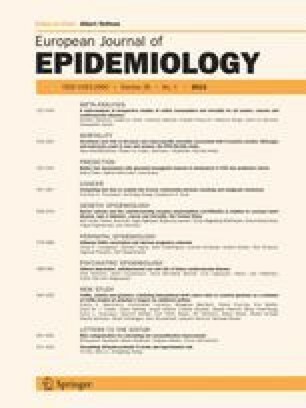 The lowest proportion of cases ever having an episode in their life is 30% of men and 40% of women, for both countries. This corresponds to a lifetime prevalence of 20 and 30%, respectively, in a cross-sectional setting (aged 15–65). The NEMESIS data were 38% lower than these estimates. We conclude that modelling enabled us to estimate lifetime prevalence of depression indirectly. This method is useful in the absence of direct measurement, but also showed that direct estimates are underestimated by recall bias and by the cross-sectional setting.